Read post 29-32 in this thread. There is a $3 usb splitter solution. It works fine. Sounds like tehn will be releasing a nice smaller version of this shortly. Awesome. Done. And more awesome for 20 characters. Thanks for making that available through Monome, Brian. Anyone here using Ansible/Grid with a Make Noise powered skiff? Wondering if that case has the juice to power Grid without the high pitched noise. Was thinking about picking up one of these anyway, and would be happy to make it Ansible’s home. Otherwise, Offworld here I come. I am, and no: the high-pitched noise is very noticeable. Hoping (and expecting) that using an Offworld-1 will sort it out. noise problems-- be sure you’re not dealing with physical noise in your grid-- a batch of 100 back in 2015 got built with ceramic caps on the power lines which make a physical sound coming from the grid. hmmm, that’s strange. 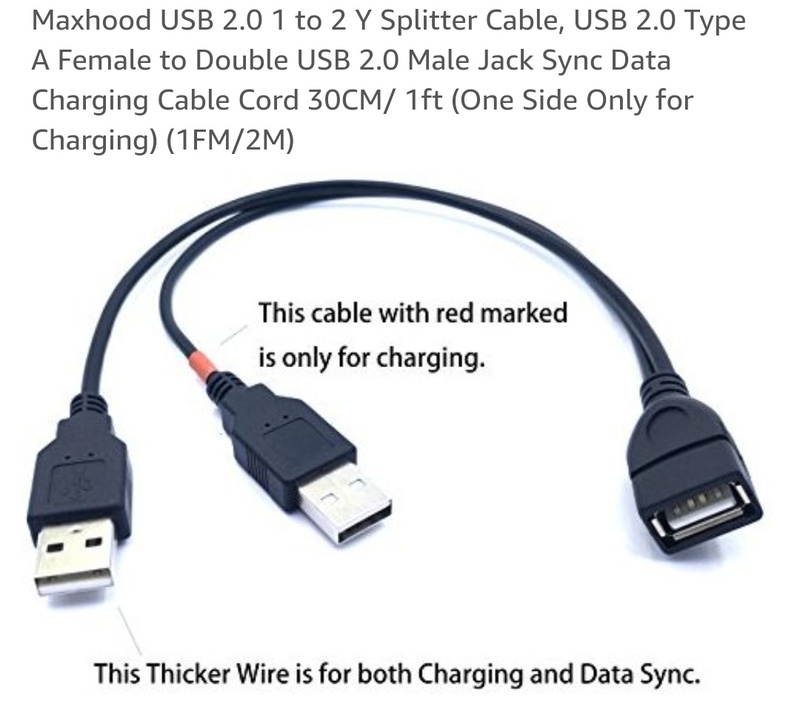 The one I purchased explicitly mentioned “Both splitter USB Male can charge, but only one usb male can data transfer”. I tried both ends to see which one had the data cable and cut the red power wire in it. Perhaps you got a defective one? Darn. Yeah one of the ends has data, so I cut the wrong one. But…shouldn’t the Grid be getting power regardless? Its connected to the splitter, and one of the plugs (no wires cut) goes into a 5V mobile charger. Grid doesnt show that it got power (the little animation thing when you plug it). It does when I plug it straight into the mobile charger though. Yes i agree @n-So. I don’t get why it’s not working for you. I’ve tried connecting my grid with the cable containing both data/power wires to the charger and it works as expected (i can still do this because i cut the power cable on a usb extension cable that connects to it). let us know if you find out what’s going on. Yeah it’s strange…just ordered a new cable (from different vendor, but seems to be same cable). We’ll see what happens. Thanks for your help! got a new cable from a different vendor and cut the correct side wire this time…it works! thanks so much for the tip! Hoping (and expecting) that using an Offworld-1 will sort it out. Happy to say it did. Hey all, having just ordered ansible i’m trying to sort any power issues head on. Will this cable do the job? (After the snip). that will work - IF - you modify the the data cable by snipping it’s power line. the data line should be 100% isolated from the power line. Cool, can do that no probs. Thanks man. I have a Make Noise black & gold shared system and the high-pitched noise from the Ansible/Grid was present for me too. I wanted to order the Offworld-1 but it’s out of stock. So then I started to order the parts to build my own. But then I remembered a suggestion from @lyckland in another thread…use a cheater plug (https://en.m.wikipedia.org/wiki/Cheater_plug). So I did and magic–noise gone! I’m taking this route until the Offworld-1s are back in stock. Is this issue is effecting all grids or a specific production run? If I opt for a new run of the grid will I be able to avoid this issue?